is a global campaign aimed at uniting people across the globe through social media to redefine beauty, build confidence, and empower one another. We envision a world where the beauty of all people, inside and out, is recognized, embraced, and celebrated. Our thoughts about beauty matter. 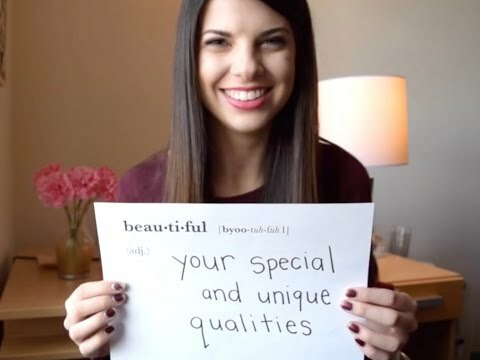 According to a global study commissioned by Dove, only 2% of women around the world choose beautiful to describe their looks. Moreover, most women define beauty in “complex and dimensionalized ways”, as an idea colored by characteristics such as “happiness, kindness, confidence, dignity and humor”. These findings show a wide discontent among women with not only the narrow definition of physical beauty, but also discontent with the fact that beauty is almost exclusively equated with physical attractiveness. With social media, we have the power to discuss, challenge, and broaden the definition of beauty on a mass scale. By contributing your voice to the This is Beautiful community, you can help build a true, collective portrait of the beauty that lies within every individual. Join the conversation by sharing your definition of beauty on Facebook, Twitter, and Instagram. 1. Think about what beauty means to YOU. 2. Share your definition of beauty on Twitter or Facebook and tag with the official campaign hashtag, #thisisbeautiful. 1. Download and print the official printout. 2. Think about what beauty means to YOU and write in your definition. 4. Post your photo, and tag with the official campaign hashtag, #thisisbeautiful.